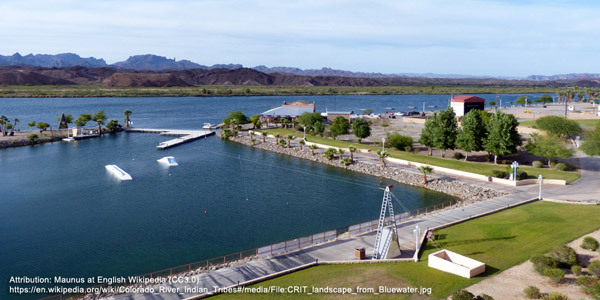 The original inhabitants of the Colorado River Reservation were the Mohave and the Chemehuevi. They farmed the lower Colorado River since recorded history. Traditional crops were corn, melons, pumpkins, native beans, and roots. These Native people lived in scattered groups in homes made of brush placed between upright mesquite logs. Some houses were also made of mud and wood. They navigated the river by means of rafts constructed from bundles of reeds tied together. The Spanish were the first to come to the Colorado River area. At first, they were welcomed. The Spanish were there primarily for animal trapping and fur trade. More and more friction between the Anglos and the Native inhabitants developed and by the early 1800’s outright hostilities developed. Most of the hostilities ended around 1859 when the Mohaves lost a battle with US forces. A substantial number of Navajo and Hopi’s were relocated to the Colorado Indian Reservation just after World War II when the federal government developed a theory of surplus Indian population. The Colorado River Reservation’s economy is primarily based on agriculture with recreation and light industry coming in second and third. The reservation also receives some income from mineral leases (mostly sand and gravel), water revenues, mining fees, and fish and game permits. There is one small manufacturing enterprise on the reservation. The reservation has a water and sewer system. It also has a 20-bed hospital run by Indian Health Services. 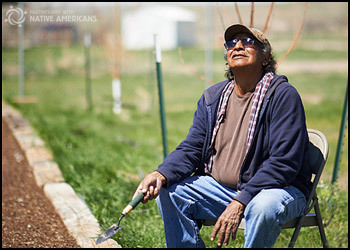 Diabetes is a major health problem on the reservation. Most Indian students attend public schools while a few go to boarding schools.